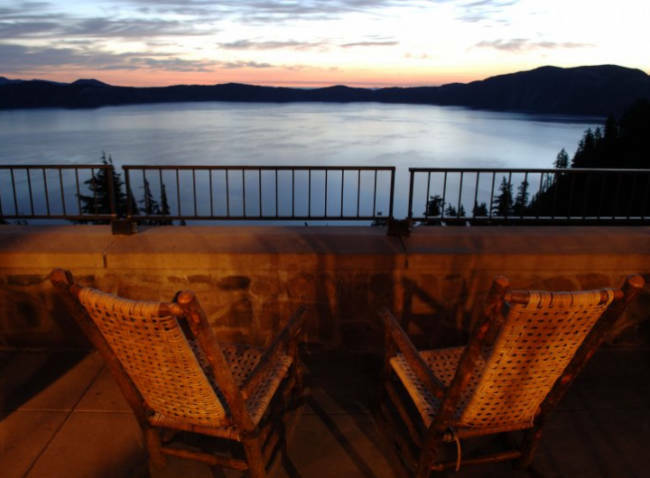 Inspiring people for hundreds of years, Crater Lake is like no place else on earth! Because Crater Lake is the deepest lake in the United States it has a deep pure blue color. 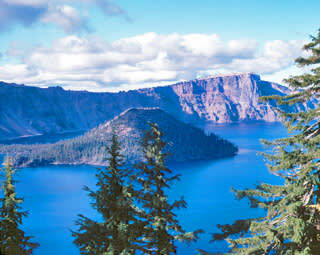 Crater Lake is surrounded by cliffs almost two thousand feet high, two picturesque islands (Wizard Island or Phantom Ship). 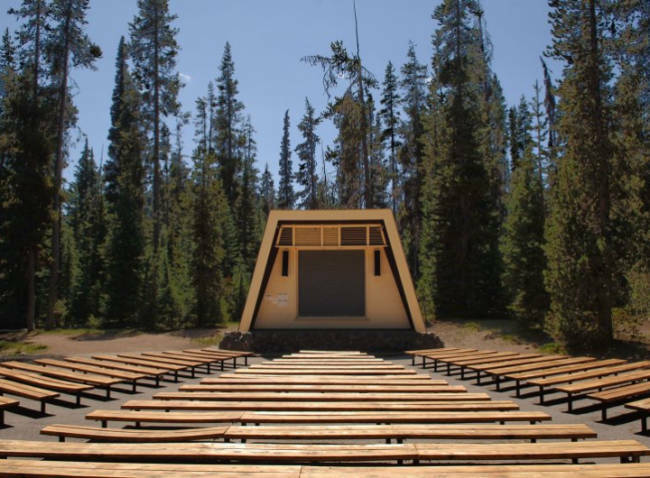 Crater Lake has a violent volcanic past. It is no real surprise that such a place has an immense allure. 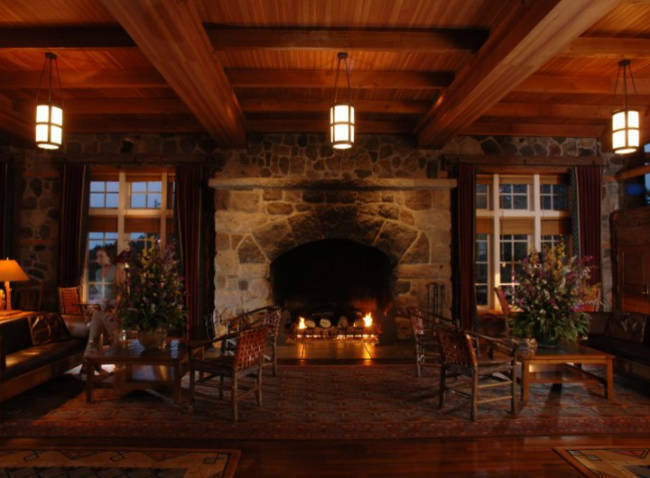 Entering through the main entrance of the lodge, you become awestruck when viewing the boldly stated fireplace in the Great Hall. 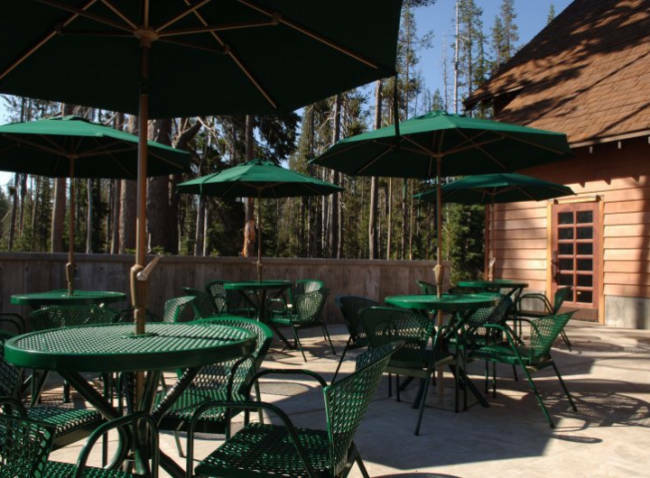 Privacy, comfort, and service are the hotel standards you come to expect and do receive at the lodge. 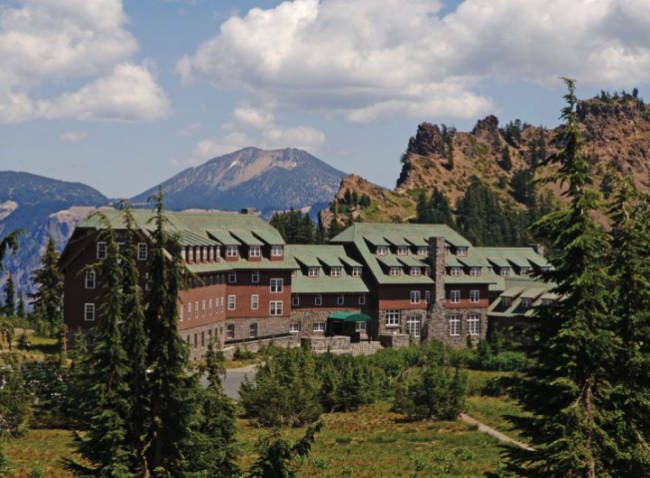 It is very easy to surround yourself with the history of the lodge but more importantly what the Crater Lake National Park has composed for you! 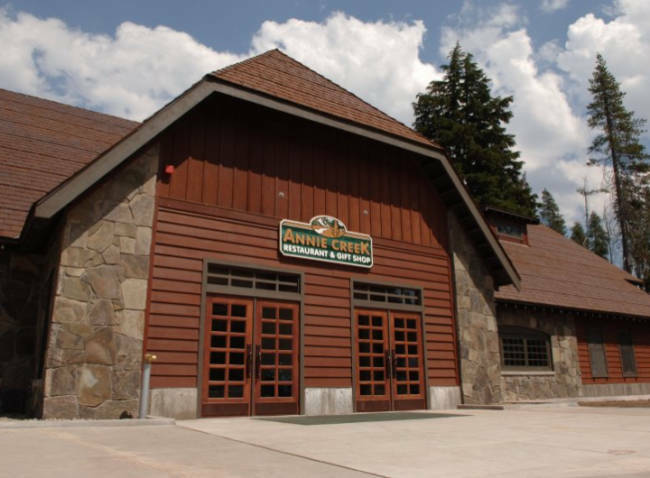 Just stop into the Exhibit Room which is located near the lobby and immerse yourself in the history that is Crater Lake! 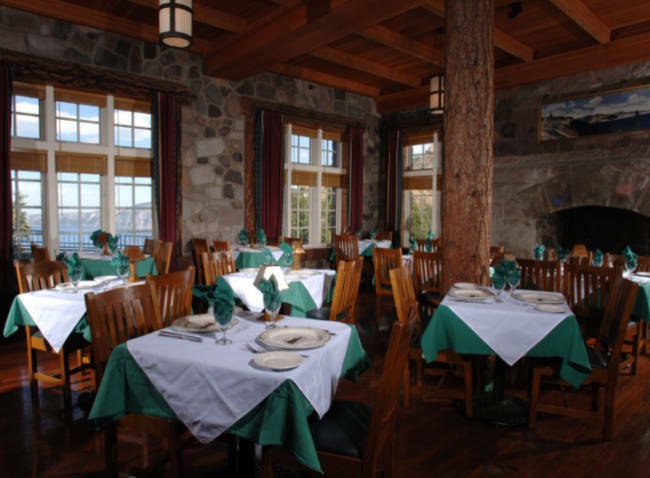 Overlooking the lake, The Crater Lake Lodge dining room is magnificent, with a large stone fireplace and views looking out over the clear blue waters of Crater Lake. Alaskan salmon, hazelnut-crusted halibut fillets, citrus duck, grilled venison, or conventional flatiron steak are a few of the many gourmet items on the menu, in addition to an extensive wine list. Located on the ground floor, these studio-style rooms come with one queen bed and either a 3/4 bathroom with a tub or a full bathroom. There are no views from these rooms, as they are located next to the parking lot. These Standard Lakeside rooms are located on the second, third or fourth floors. The offer one queen bed, partial lake views and a 3/4 bathroom with tub only. These rooms can accommodate up to two guests. 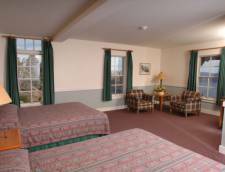 The Deluxe Lakeside rooms are located on the second, third or fourth floor and feature two queen beds, and a full private bathroom. These rooms can sleep up to five people. This room can accommodate up to one roll-a-way. These Standard Lakeside Rooms are located on the second, third or fourth floor and feature two queen beds, plus a full private bathroom and partial lake views. These rooms can accommodate up to four guests. 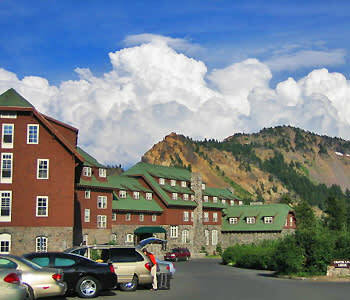 The Loft Rooms are located on the second floor of the Crater Lake Lodge. These rooms feature either one king or one queen bed on the main floor, and one queen bed in the loft. A full private bathroom or 3/4 bathroom with tub only plus a small sitting area is also in the Loft Rooms. These rooms will comfortably accommodate up to four guests. The Standard Rooms are located on the second, third or fourth floor and offer one king or one queen plus a 3/4 bathroom with tub only. These rooms do not provide lake views. Roll-a-way beds are not permitted in these rooms. These rooms can accommodate up to two people. 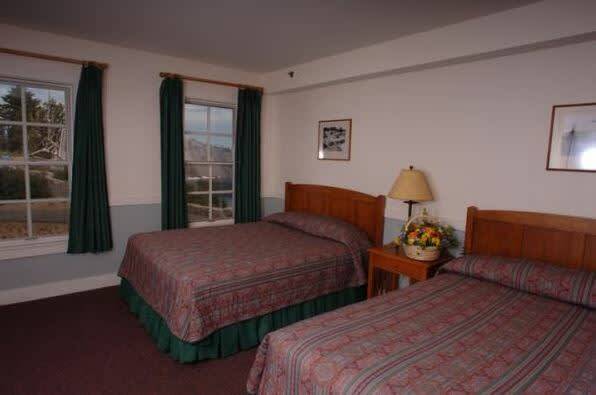 The Standard Valley View rooms offer two queen beds and a full private bathroom. These rooms look out over the parking area and are located on the second, third, or fourth floor. Deluxe Lakeside rooms are located on the second, third or fourth floor and have a partial view of the lake. 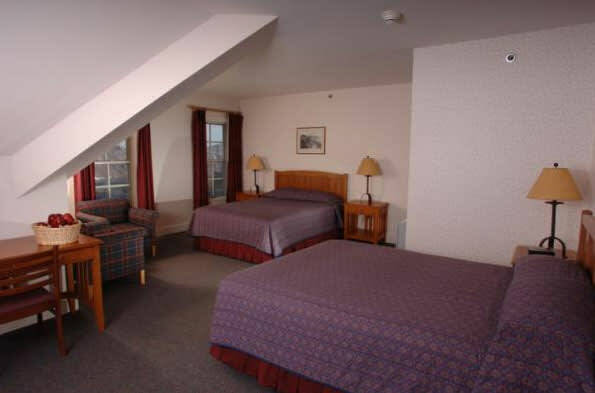 The rooms feature one king bed or one queen bed with a private 3/4 bathroom with tub only. These rooms can sleep up to two people. Roll-a-way beds are not permitted in these rooms. First night room, taxes, and fees are due at time of booking. The remaining balance must be paid upon check-out. Cancellations or changes in reservations must be received 7 days prior to reservation arrival date to assure refund of deposit. Refunds on cancellations made less than 7 days in advance will be forfeited. Rates Policy: Rates are based on double occupancy. Each additional guest age 12 or over is an additional $25.00 per night. Room rates and taxes are subject to change. 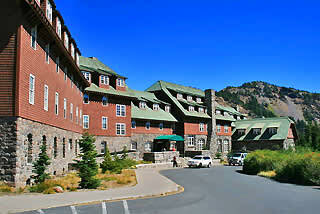 Please note there is an additional $1.00 donation to the National Park Foundation per night.